Cricket Wireless is an international cell phone company that provides prepay cell phone service plans along with phones and accessories. Most Cricket Wireless stores are owned and operated by franchises. In 2017, 4D worked with 6 different Cricket Wireless franchisees assisting in the completion of leases for 16 new stores, listed at right. 4D began working with Cricket Wireless Washington, DC/Baltimore regional corporate real estate department to begin identifying potential store locations in markets where Cricket did not have a store, and markets that required a second store. After preparing property surveys for the target areas based on space and demographic criteria, Cricket began identifying properties of interest and assigning those properties/areas to specific franchisees. Franchisees were then connected with 4D. We worked with the franchisees to pursue the properties of interest. 4D helped each franchisee manage the entire property selection process, from property tours through letter of intent and lease negotiations, to lease execution and occupancy of the new location. Joseph Canova & Sons (JCS) has been in the watermain construction business since 1951 working with DC/Baltimore area developers and water/sewer authorities. 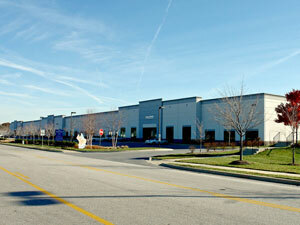 JCS is located in Laurel, MD and owns the property on which their facility is located. 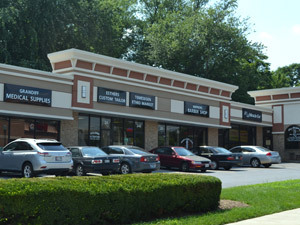 Over the years JCS had acquired properties that were adjacent to their primary location. 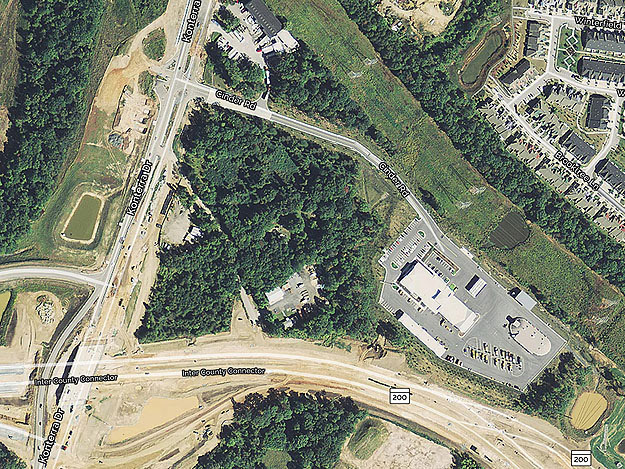 As the area has grown and the construction of the ICC (Route 200) began, a portion of JCS’ property was acquired by the State of MD. This left an approximately 2 acre parcel that had been separated from the rest of the property. The separation of the property limited the benefits of the site to JCS, but the visibility of the site and location relative to future development planned for the area offered benefits to other potential owners of the property. 4D was retained to market the property for sale. After presenting the property to a variety of regional and national companies that acquire sites with high visibility and excellent access to major highways on which they construct retail/gas stations facilities, several companies were expressing interest in the site. 4D also reached out to surrounding property owners and developers in the area. The eventual purchaser was the developer of the proposed town center across the street. The property offered the developer the opportunity to control the use that ultimately occupied the property, which is at the entrance to their future town center and also allowed the developer to address some community use issues that are going to be part of the town center. JCS was able to maximize the selling price and the developer was able to gain control of a piece of land that will likely increase in value as the town center is developed. The Center for Organizational Excellence has been a 4D client since 1992. 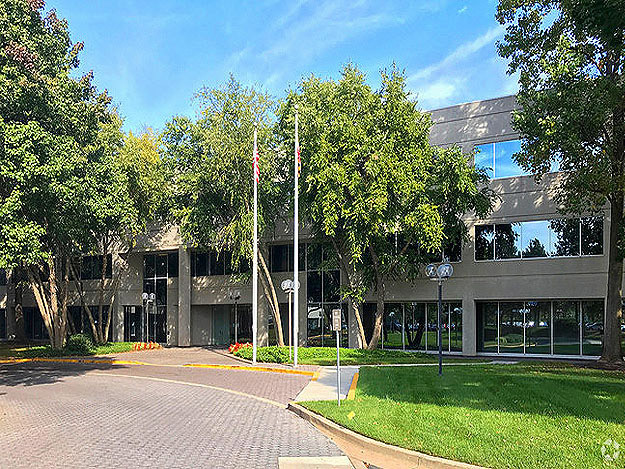 Gary originally helped COE move from 2,000 sf in old town Gaithersburg to approx 5,000 sf in an office building on Shady Grove Road in Rockville. 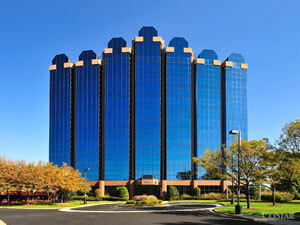 In 2008, COE required another relocation which is now their current building at 15204 Omega Drive in Rockville. 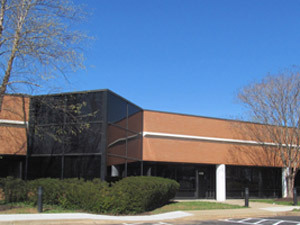 COE leased 13,000 sf. Since their initial occupancy at Omega Drive, COE, a government contracting firm, has seen a shift in their business operations that has led to a large portion of their employees being situated in government facilities where the contract is being implemented. The result being that COE now requires about half the amount of space from what they originally leased. As part of the negotiation, COE was able to be released from the 13,000 sf lease 6 months early without a penalty, resulting in significant occupancy cost savings. Mileham & King is a seller and installer of window coverings having primarily focused in the commercial market, but recently added a residential division offering products from top line manufacturers. 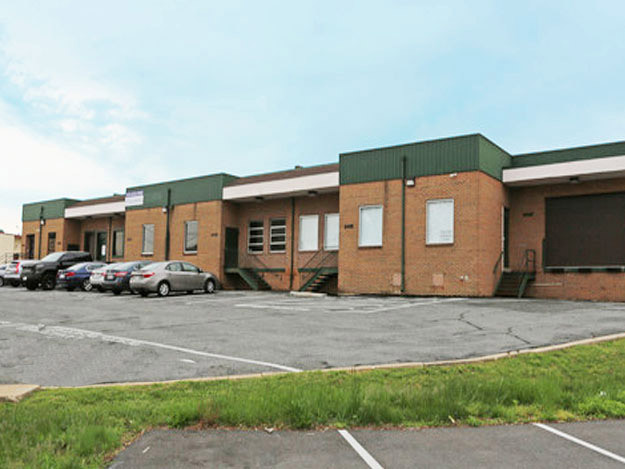 M&K owned the warehouse/office condominium from which their business operates in Rockville, MD. With many small to medium sized businesses looking to purchase rather than lease their facilities due to the availability of inexpensive debt, M&K saw an opportunity to shed debt and use the equity from the sale to grow the business. Additionally, as M&K has become more efficient in their operations, they no longer needed the entire 7,500 sf. However, M&K did not want to disrupt the business at this time and was hoping to find a buyer that would agree to a sale/leaseback arrangement in which M&K could remain in the property for 12–24 months after settlement. 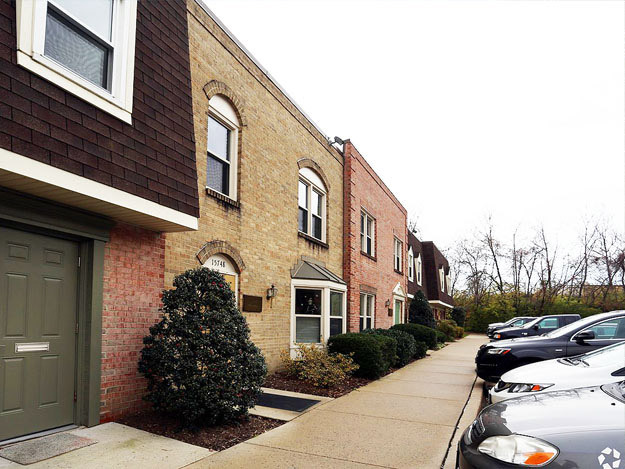 4D was engaged to market the condo to businesses and the brokerage community to try and find a buyer. With only 3 months of marketing, 4D was able to find a buyer who agreed to the leaseback arrangement allowing M&K to remain in the condo for up to 2 years, and the transaction was completed in July 2017. GB Shades sells and installs commercial and residential window coverings. They have operations in Washington, DC, Baltimore, MD, Wilmington, DE, and Philadelphia, PA. They are one of the largest commercial window covering installers in the DC/Baltimore area and have worked on some of the largest and best known projects in the region. A client of 4D since 2009, 4D helped GB Shades find their current location and also negotiated an expansion at this location. In 2013, as the business grew, GB decided there would be long term financial and operational benefits to owning a facility. They specified geographic areas and building criteria and 4D found them the perfect building to suit their needs. Over a 4-year period 4D and GB evaluated 13 properties which included existing buildings and land for development. Letters of Intent were exchanged and purchase contracts were drafted in a couple of instances and through their patience and commitment to finding a property to purchase, GB closed on 649 Lofstrand in late December 2017. 649 Lofstrand accommodates GB’s current needs, has room for growth and there are a couple of existing tenants to help offset some of the ownership expenses. Additionally, the building is in an ideal location as it relates to potential property value increase, convenience for employees, and accessibility to clients. Advanced Spine & Wellness Center offers state-of-the-art chiropractic, physical therapy and acupuncture services helping their patients go beyond the resolution of symptoms to achieve optimal body function, performance and efficiency. Dr. Brian Paris, President of Advanced Spine & Wellness Center, is working to create a full service wellness center that provides variety of complimentary services such as therapeutic massage, sleep disorder services, pain management, arthritis related therapy, Neuropathy, EMG/NVC testing and treatments, weight-loss counseling and products, wellness, holistic health, and fitness programs. In order to grow the business, Brian needed to increase his space, but at the same time, minimize occupancy expenses. 4D was able to show ASWC a variety of property types that offered the economics and functionality that were needed. ASWC selected a flex building that offers a professional presentation for new and existing clients and the opportunity to layout the premises in a manner that allowed ASWC to create and manage a variety of revenue streams. 4D negotiated a lease for ASWC that maintains rent expenses at a reasonable level over the term of the lease and also minimized the out-of-pocket expenses that ASWC will incur to relocate to the new facility. The lease also includes a broad use clause allowing ASWC to offer their clients a wide range of services. Miracle Ear is the #1 hearing aid company in the United States with over 1,200 franchise locations across the country. Miracle Ear facilities have traditionally been located inside Sears stores, but a recent shift initiated by the corporate office has led local Franchisees to look for more traditional retail locations. Miracle Ear stores provide hearing testing and the sales of hearing aids, as well as the maintenance and repair of hearing aids. Miracle Ear had specific geographical boundaries based upon their franchise rights as well as the need to be located within close proximity to certain age demographics. 4D was able to identify locations within the designated boundaries that also met the financial parameters of the tenant. 4D was able to negotiate lease terms that addressed Miracle Ear’s specific timing needs, which were tied to their exiting terms with Sears. 4D worked with the landlord to modify the lease to incorporate lease language required by Miracle Ear’s corporate office. ESF is a patent and trademark law firm that is experiencing tremendous growth, with a large portion of that growth coming from national clients. ESF needed to find space to accommodate current needs as well as provide for future expansion. Additionally, ESF desired to upgrade the quality of the building and existing amenity base to continue to attract national clients, and to provide a better work experience to maintain existing staff and be competitive for new hires. ESF was able to lease the same amount of space as their previous location, but increase the number of offices and work stations by finding a new location that offered a more efficient layout. ESF took advantage of current market conditions to create a concession package allowing a move from a Class B to a Class A property. One Washingtonian Center is surrounded by over 500,000 sf of retail/restaurant amenities with four hotels within walking distance of the building. IEC is a non-profit association for non-union electrical contractors whose primary business is providing apprenticeship and continuing education classes for aspiring and licensed electricians. With new continuing education requirements being imposed by MD and VA, IEC needed to significantly increase the size of their facility to accommodate additional students and classes. IEC considered leasing and purchasing to find a location that could accommodate parking for students driving from all parts of MD, VA and DC. IEC evaluated the benefits of purchasing vs. leasing and elected to lease a 30,000 sf facility that offered abundant parking and easy access to major thoroughfares such as I95, Route 1 and Route 32. IEC was able to negotiate a lease that provided for a graduated rent schedule and a buildout allowance that provided the opportunity to work within the financial constraints of a non-profit association. The new facility provides an increase in the number and size of classrooms and the ability to upgrade the facility with the latest technology.